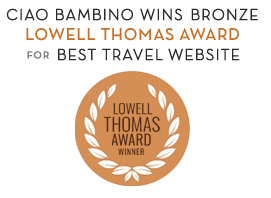 City Breaks for Families - Ciao Bambino! The excitement of touching down in a big city is palpable. Kids admire the skyline from the plane window, and they instantly feel the energy pounding through them as they hit the streets and gawk at the crowds of people, enormous buildings, and all that traffic. Suddenly the whole world feels like its at their fingertips, and in these major, international metropolises, it is. Taking children on vacation to a city can be overwhelming, though. It takes meticulous planning to see the top attractions, but also reserving downtime for unplanned activities and more leisurely play. We know how to structure an itinerary so that families experience one or two key landmarks each day, in a high quality way, but also enough free time for a stop at a neighborhood playground or an evening swim at the hotel pool. Our favorite guides ensure that children get a better understanding of the history and culture of a city, while having so much fun along the way that they don’t even realize its educational. Parents always remark that they learned a lot, too. Choosing the right kind of lodging is incredibly confusing in cities, too, in part because the options seem limitless. Which neighborhood is best when visiting with children? Which hotels offer rooms that are comfortable for larger families? Does renting an apartment make more financial sense? We love helping our clients navigate these choices until we find just the right fit. Cultivated by our own personal travels and the feedback of thousands of happy clients over the years, our reliable network of favorite hotels often provide our clients with extra perks like complimentary airport transfers or guaranteed early and late check out. We can advise on best ways to get around so that you feel more confident taking public transportation, or when safety reasons require it, we can book a reliable private driver. Cities work across seasons, too, because unlike some rural locations, many offer robust indoor activities like amazing museums. Just be sure you know what to pack; as some cities do experience extreme weather conditions like London’s infamous rain and Dubai’s stifling heat. What’s not to love about New York City with children? Families love that the very best of everything: museums, parks, food, theatre, etc., is found here. First-time visitors will want to focus on the major sites, like the Statue of Liberty, Empire State Building, and 9/11 Memorial. On return trips, families love to focus on specific interests and vibrant neighborhoods. The twinkling lights of Paris have attracted families since before the Eiffel Tower was built. There’s just something magical about this city. The world-renown attractions and activities are robust, like private art museum tours and skip-the-line access to the most popular experiences. We can also advise on kid-friendly dining options, food tours, and pastry classes so that your family can indulge in one of the many perks of a Paris vacation: all that phenomenal food. Families may just pass through Bangkok en route to exotic beach resorts around Thailand, but it would be a shame not to carve out dedicated time to explore the most visited city in the world. Focus your sightseeing adventures in the morning, before the heat and humidity set in during the afternoons. Consider riding tuk tuks or the sky train as you travel between temples, it’ll save energy levels and time by avoiding Bangkok’s traffic jams. Samuel Johnson once famously said, “when a man is tired of London, he is tired of life.” We couldn’t agree more! Often an entry point into international travel, or a longer vacation around Europe, London is full of recognizable buildings, fun museums, beautiful parks and playgrounds, and history lessons galore. Families need at least four or five days to see it properly, but it also works as a homebase for a week or longer. Sampling dim sum in Chinatown. Biking over the Golden Gate Bridge. Pretending to be prisoners at Alcatraz. Laughing at the sea lions along Fisherman’s Wharf. Feeling the breeze in your face as you ride on a trolley. We could go on and on with ideas for family fun in San Francisco. It’s been a long-time favorite Ciao Bambino market for our full planning services. Give your children an up close look at the history that is the very cornerstone of their curriculum at school. They can walk in the footsteps of gladiators at the Colosseum, witness the genius of Michelangelo at the Sistine Chapel, and be awestruck by the grandeur of St. Peter’s Cathedral. You’ll need lots of gelato stops along the way to keep everyone energetic and happy, of course! Some families come to Dubai for the sunny, year-round warm weather, others are drawn by the extravagant hotels and fun-filled waterparks. But this Middle Eastern city is more than just modern marvels. Families can enjoy exotic experiences, like wandering the colorful souks or visiting a mosque, without pushing themselves too far out of their comfort zone. Our favorite pro tip is to book clients on a sunset dinner in the desert. It’s often a highlight of their Dubai vacation. A trip to the largest city in Japan is what families choose to make of it. They can easily be immersed in history here, through visits to the various temples, traditional gardens, and even sumo wrestling tournaments. Or plunge full speed ahead into high-tech pop culture of regions like Harajuku or by visiting museums dedicated to manga and anime. That said, our favorite customized itineraries allow families to experience a mix of both, with lots of hands-on activities included. Whatever interests your children, you’re bound to find it in Washington, D.C. Top attractions include the world-renown museums, covering everything from air and space to international spy rings. Lovers of U.S. history are in heaven here; you can hardly walk one city block without bumping into a key landmark or memorial. Attractions like Ford’s Theatre have gone out of their way to make visits family-friendly. Whether families are just here for a few days before or after a Mediterranean cruise, or as an anchor on a longer trip through Spain, Barcelona is not to be missed. Budding architects and artists will be inspired by Gaudi’s colorful and creative parks, buildings, and cathedrals. Foodies hunt for the best tapas and buy interesting ingredients at the many markets. And beach lovers don’t have to go without in this city, as there are wonderful stretches of sand just a few miles from the city center. Metropolitan areas with a laid-back, outdoorsy vibe can be hard to find, and therefore families who seek that experience are often deterred from taking city breaks at all. Vancouver is the answer. With its incredible Stanley Park at the forefront of kid-friendly fun, the options for outdoor activities in just this park alone can easily fill several days. When coastal Canadian weather gets the best of you, Vancouver’s amazing museums will save the day. From babies tucked away in carriers as parents saunter colorful city sidewalks, to toddlers romping around urban parks, to older children and teens indulging their unique interests and inherent curiosity by exploring the world’s major landmarks, cities work incredibly well for a family vacation. With our professional guidance and advice for visiting these top cities and many others, families can be assured that their city break will be full of excitement and happy memories, with fewer logistical headaches and meltdowns.